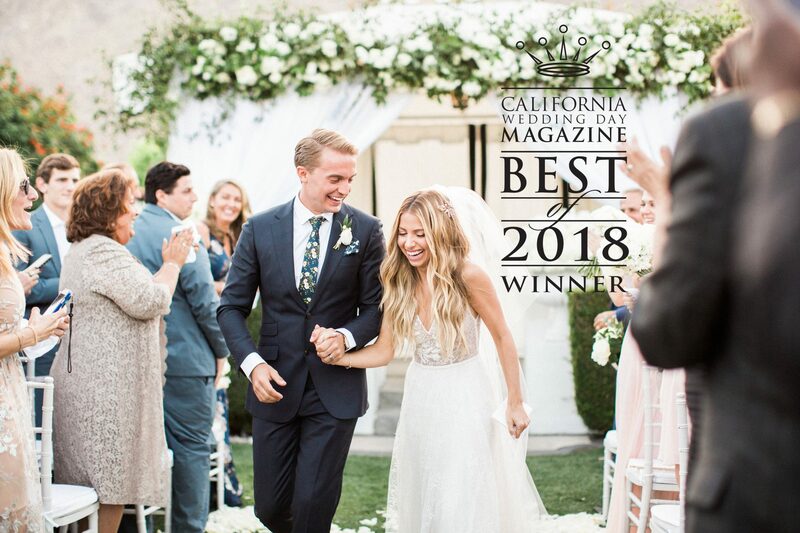 As many of you may already have heard, we recently had the honor of being named the “Best Event Planner” in Los Angeles at California Wedding Day’s “Best of 2018” awards. This was a huge milestone for us and we’re beyond grateful for all the love and support we’ve received throughout the years. The nomination consisted of two rounds. In the first round, anyone could vote to nominate their favorite wedding professional. This determined which 4-5 companies would be named as finalists in each category. From there, the second round was exclusively for wedding professionals to vote on their favorites amongst the finalist. In the end, we tied with Bluebell Events for the honor of Best Event Planner in Los Angeles. We are seriously so grateful and excited to have our efforts recognized by all the wedding pros, California Wedding Day and most importantly, our clients. Thank you again for all your endless support. We couldn’t be more excited to continue on to make each and every one of our weddings distinctive, fabulously styled, super fun and deeply personal!